Beffel Lighting in Jackson, Michigan since 1927. Three generations of the Beffel family have been involved in bringing quality lighting to area residents and businesses. 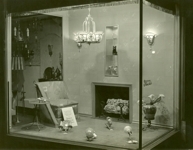 In April 1927, founders Ernest and Alice Beffel opened for business on Cortland Street in the City Club. Three years later, the business moved to West Cortland. In 1945 it relocated to its present site, a historic building that was once an art gallery/funeral parlor. Pat jr., a third generation Beffel, continues as company president. She recalls that she was in the second or third grade when she started helping out. But it's really a moot point, because in a family-run business no one keeps track of their "official" starting date. 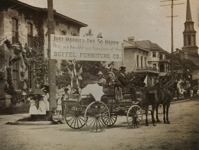 Beffel Lighting has been an integral part of the downtown Jackson retail environment for many years. Although the store is only between 1,300-to-1,400 square feet in size, Beffel Lighting manages to display an artfully arranged selection of hundreds of lamps and lighting fixtures. From elegant Waterford crystal lamps to handsome wall sconces, the assortment changes constantly as merchandise sells and replacements are added. Most of the inventory is grouped by style; for example, crystal chandeliers, Tiffany-type lamps, etc. Pat Beffel, jr.'s interests and capabilities make her well suited for her current role. She attended the University of Michigan College of Engineering, obtained a bachelor's degree in education and taught high school math for a while. She was also accepted at the U of M School of Art but chose not to attend. Her strong technical background plus her aptitude for design complement each other on the job. Lighting is a science, she says. To maintain or reach a certain level of illumination, a person should know about the positioning and placement of lighting fixtures, about the lumen output of different lamps, and they should also be familiar with the reflectance value of different surfaces. The staff at Beffel Lighting is experienced in working with individual customers who walk in the door, as well as with contractors, builders and interior designers. They can help someone select a single lamp for the bedroom or plan a house full of lighting fixtures. In addition, every one of them is an accomplished do-it-yourselfer who can explain how to install a fixture or a ceiling fan.